On the 29th January 2009 at Lido, just in front of the Marine Biology Center a Great Northern Loon Gavia immer was observed and photographed by one of the biologist working at that Center. The bird was feeding by diving underwater for about 40 seconds as it was stated on the Science Newsletter of Funchal Council. 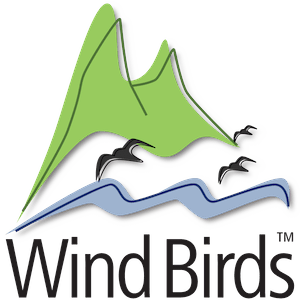 The news about this bird took sometime to be released as the observers had to send the bird's picture to an expert in UK to confirm its identification. This is most probably the same bird observed later, on the 10th of February by Janet Parker, a UK customer of Madeira Wind Birds. 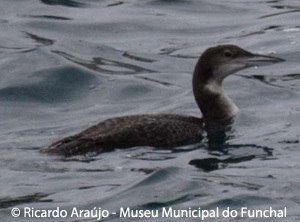 Great Northern Loon is an accidental vagrant to Madeira and the Municipal Museum of Funchal has a specimen which was caught in Machico, Madeira in 1945.